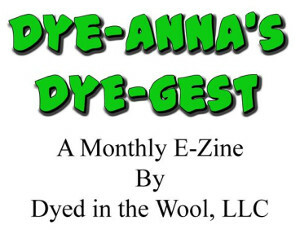 This month's workshop for the Online Guild is a challenge for dyeing vegetable fibers. At first, I didn't think I could participate, mostly because my kitchen is way too small to share dyeing projects with cooking and food preparation. But when fellow blogger and OLG member Kathe mentioned using very small outdoor spaces for dyeing, I began to change my mind. The beauty of Procion MX dyes, is that they are cold water fiber reactive dyes. This means the only heating I will need to do will be to scour the raw cotton. More on that next time. I think the hardest bit about dyeing is just getting the bits and pieces you need together. Looks like you're just about ready to start now. By the way, do I see a green tomato in that photo? Glad to see your plants are growing well. OOOH! I have most of the same stuff. (I have some cotton roving and the procion starter kit.) Can't wait to see your results. Its always fun to try something new. Can't wait to see how it comes out. YAY! You're all set. Now you can play with color to your heart's content. And what a great little setting to do so. Can't wait to see see see! You are giving me ideas. My outdoor space is a bit larger than yours, and I have a table, a hotplate, and an outlet. Hmmmmmmm. This could be fun. You do have the proper dust respirator and a place to measure out of the wind, right? And I don't mean a dust mask from Home Depot- you need the one that makes you look like a Storm Trooper. MX dust is a serious lung hazard, although not generally toxic otherwise. Way to go. Use every bit of your living space and keep the heat outside. Can't wait to see the color of the finished fiber. Dust mask vs respirator. I do not understand why Anonymous thinks you need a respirator. A respirator is needed only when you work with dangerous gases, bleach, for example. A dust mask is all you need for particles, but it should be as close fitting as you can stand. No dust particles will get through a well-fitting mask. I sometimes wear them outside when the pollen is unusually bad. Anonymous and Peg, I will include all the safety information I have on procion mx dyes when I get to that post. Bspinner, you're right about keeping the heat outside! Wool Enough, go for it!!! And thank you to everyone else for all the interest and encouragement! Well Sharon, if you were given 10 pounds of it like I was, you might find an occasion to get motivated ;) My problem is that I love working with wool so much, that the cotton gets neglected. This Online Guild challenge has been a good motivator. I really should work with cotton more as we have more warm weather than cool. But I just can't get away from that sheep's fur! Hi, It looks as though I need to keep tabs on this, as you passed some of that same cotton on to me some years ago. Not that I have time to be dyeing at the moment. Absolutely, M! The really great thing about the cotton is that it can be stirred, poked, and prodded with no fear of felting. I really like that.